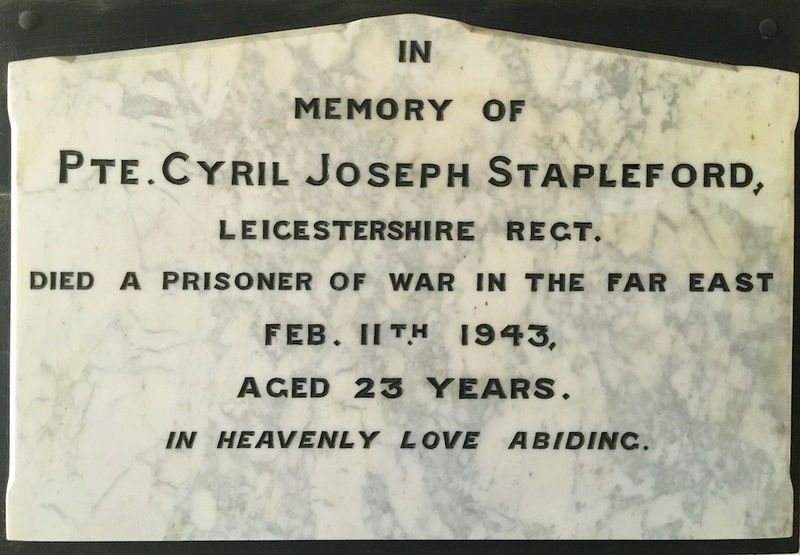 Biography: Home address given as Leicestershire. Enlisted 15.9.1939. Served in the Malaya Campaign 1941-1942. Died as a prisoner of war 11.2.1943, aged 24. 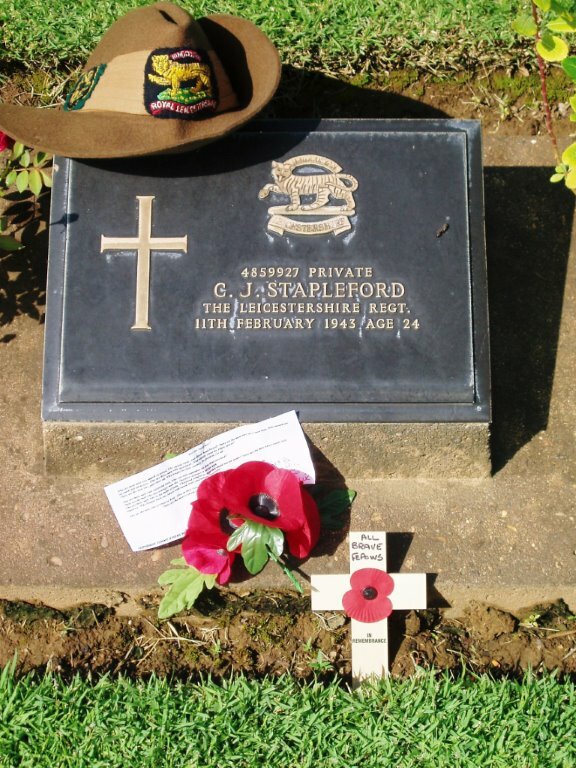 He is buried in Kanchanaburi War Cemetery, Thailand.